Fewer students are chronically absent in the city’s schools this year, according to a new report presented to the school board on Wednesday night. There was a 43-percent reduction in the number of students chronically absent in the district. 5,467 students were chronically absent in the past 102 days this academic year, down from 9,554 at the same point in the 2016-17 school. This means 4,087 fewer students are chronically absent – a student who misses 10-percent of the school year — this year so far. At this point in the year, a student absent 10 or more days is considered chronically absent, according to the district. Suspended and sick days, not counted for truancy, are counted in the chronically absent figures. “We are on a downward positive trend,” said assistant superintendent Sandra Diodonet. Superintendent Eileen Shafer has made improving attendance a key priority for her administration. She began a citywide public awareness campaign dubbed “#PPSShowUp” in September to enlist parents and the community in the district’s fight against absenteeism. Chronic absence is an indicator of lower third-grade reading proficiency, course failures, and eventual dropout. “There is no way for them to catch up if they are not in school,” said Diodonet, who belongs to the Attendance Task Force Committee, whose mission is to end chronic absenteeism. 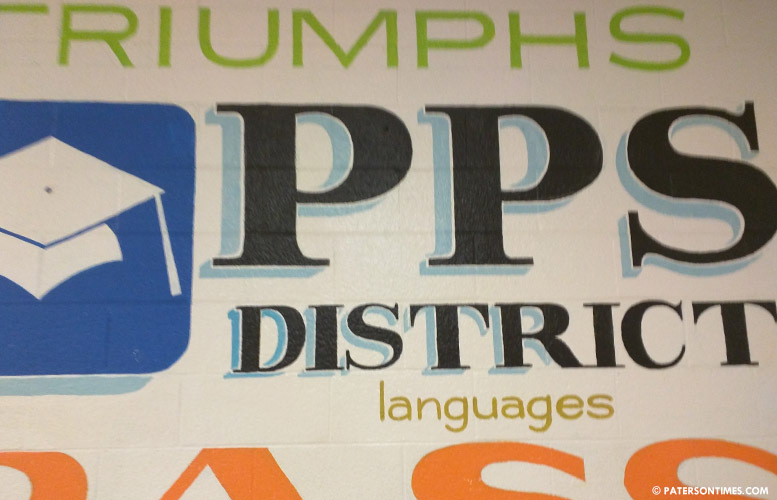 “What’s different to reach such a huge drop?” asked school board member Kenneth Simmons. Schools had to buy into reducing their chronic absenteeism rates, said Theodore “TJ” Best, director of student attendance and anti-bullying. There was close monitoring of attendance at each of the schools. There were monthly meetings to find root causes for absences. Schools conduct robocalls when a student is absent. Success mentors make phone calls to parents and conduct home visits to get students to regularly attend classes. Students are also given homework and uniform passes for having good attendance. “This work is not easy, ” said Diodonet. Best said the district set a modest, 10 percent reduction, goal at the beginning of the school year. “I actually thought that was a lot,” he said of the 10-percent goal. The district exceeded that goal by four folds. “It’s a huge accomplishment. We just took that goal and set high expecations,” said Best. Ms. Shaffer has done a great job addressing this issue my daughter has brought home flyers stressing the #PPSShowUp and they even have incentives for attendance like pizza parties. The opposite of Donnie Evans failed regime , who was a lackey for the charters and worked to have a dysfunctional system in order to justify the charter's expansion.